It wasn't as heartwarming as I expected from a Disney production and was just half as emotionally effective as the original movie Monsters Inc, but Monsters University is still cute, charming and clever. Though it is less a narrative for a Pixar film, the animations are so beautiful and oftentimes, delicious. 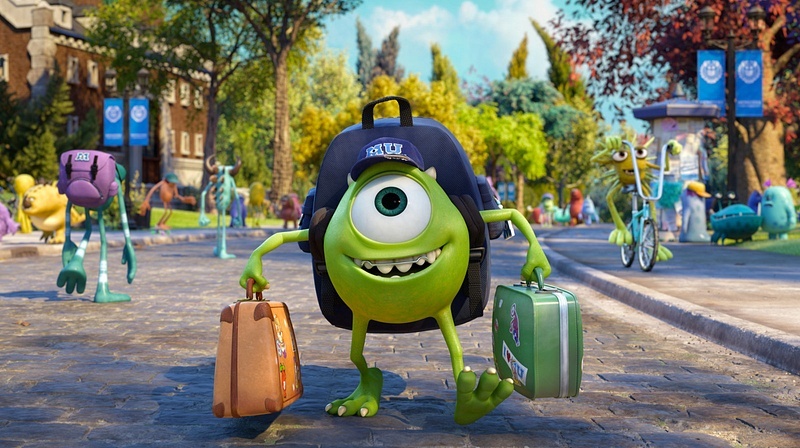 Contrary to what movie fans expect, Monsters University is actually a prequel. 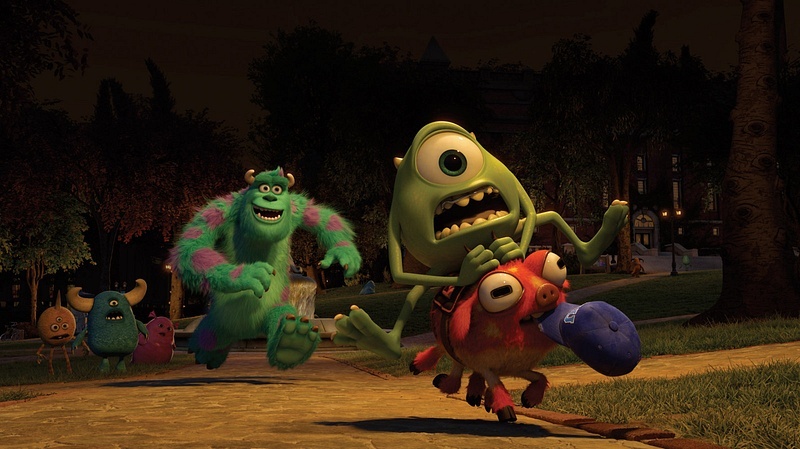 Mike Wazowski steals the spotlight from Sulley and he becomes the most weirdly drawn cartoon character that I find cute. Billy Crystal still effectively voiced Mike while John Goodman's big and deep voice brings Sulley's character to life. The story is about how Mike's childhood and how he attended school at the Monsters University where Sulley became his classmate. 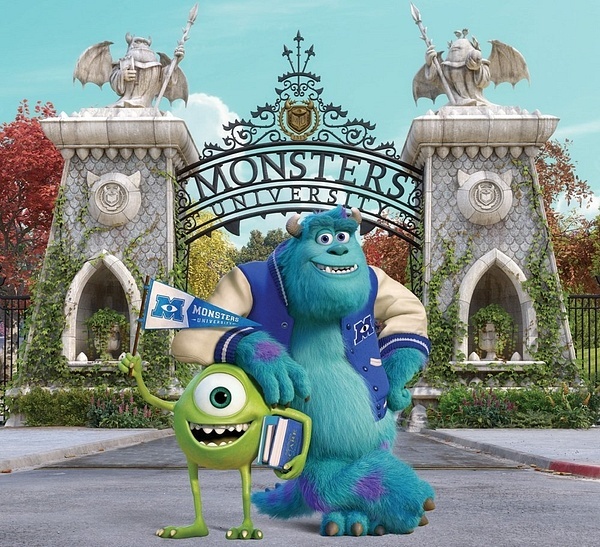 Since the plot focused on Mike and Sulley's adventures and misadventures at their school, several characters were introduced in the second monster flick. 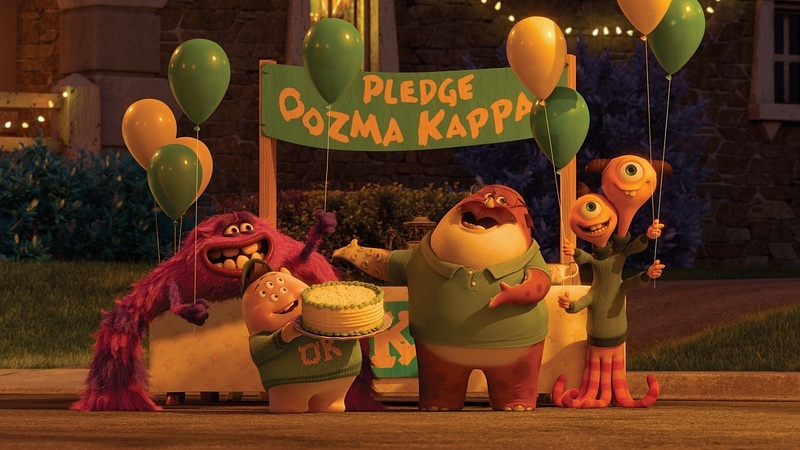 We have the Oozma Kappa fraternity members Don Carlton, the two-headed Terri and Terry Perry, Art, and Squishy Squibbles. Randall, the purple lizard, returned here but came out less of an antagonist. My favorite new character though is Dean Hardscrabble who is amusingly voice-acted by the super talented Helen Mirren. Non-apparent to her half-insect, half-dragon scary looks, the creators of Hardscrabble made her act and speak elegant and classy which made her more interesting for me. Although there were less opportunities for master musical scorer Randy Newman to exhibit his greatness due to the upbeat plot, still I had some favorites on the movie's music. Music, as we all know, is one of the strengths of a Disney and Pixar film. Track 18 of the soundtrack album entitled "Goodbyes" is my favorite. (Listen here: "Goodbyes"). My other favorite and could be worthy Oscar favorite too is "Wasted Potential" (Listen here: "Wasted Potential"). 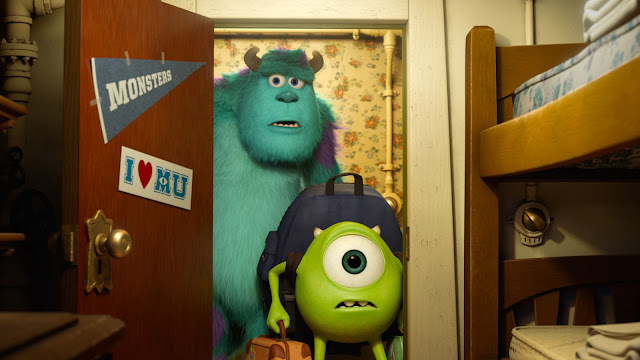 Though there are no moments for you to be in tears, you can still expect Monsters University to provide exciting times inside the movie house. Here's a clip of Dean Hardscrabble's grand entrance. 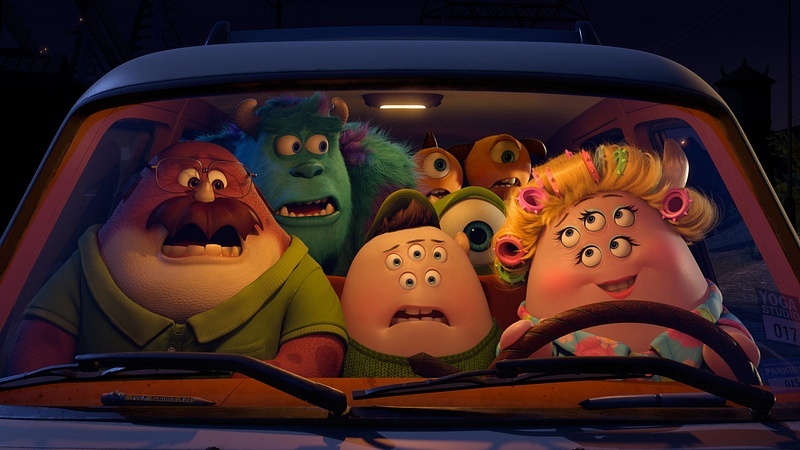 Photos courtesy of Disney/ Pixar.